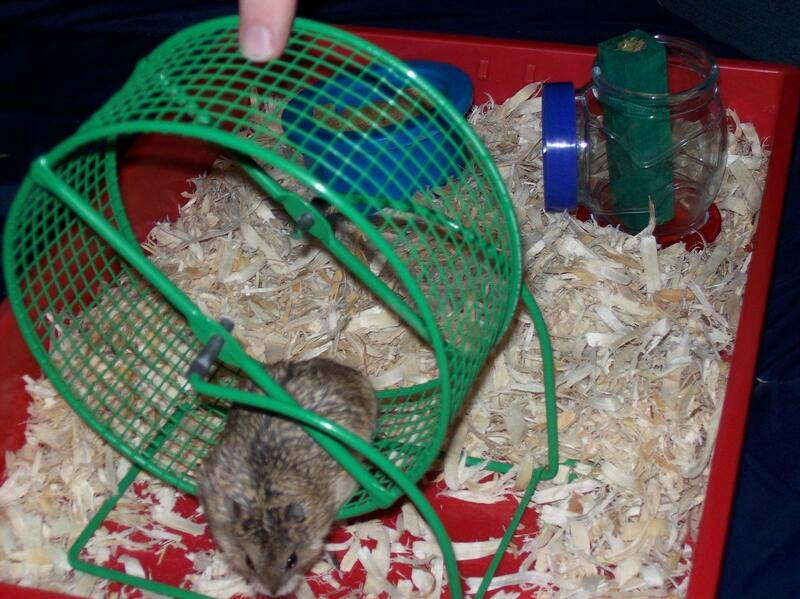 She runs all night, zooming on her wheel. We got her a second wheel a while ago and she likes to switch between the two during the night. The duct tape on there is to keep the wheel from squeaking as she runs, it works really well.